The Chromebook is a new, faster laptop computer. Unlike traditional personal computers with standard operating system like Windows or Mac OSX, Chromebook runs on Google's web-based Chrome OS, which is designed to be used primarily while connected to the Internet. 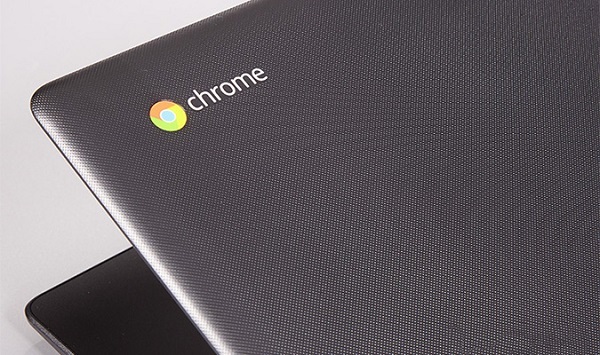 Quick performance, low prices and lengthy battery life are the main features of the Chromebook. Chromebooks are especially good choices for travelers, as they are much lighter and thinner than traditional laptops so this makes them much more convenient to carry. Why Chromebook Can't Play Apple Music? Although it is possible to get Android apps on Chromebook now, you are still unable to install Apple Music app on the Chromebooks. Moreover, the downloaded Apple Music are protected by DRM protection, which stop you streaming your songs from Apple Music on a Chromebook. In addition to, Apple Music is streamed at 256Kbps in AAC (Advanced Audio Coding). And the Chromebook has been playing .ogg, .mp3, .wav and .m4a audio files. So even if the DRM is removed, Apple Music is not compatible with Chromebook, either. Thus, you should find a tool which can not only get rid of Apple Music's DRM protection, but also convert Apple Music files to common audio formats supported by Chromebook. 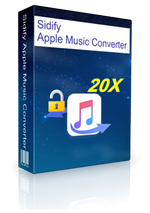 Sidify Apple Music Converter is an all-in-one Apple Music conversion tool, which is designed for iTunes users to enjoy the Apple Music tracks freely. The program can work directly on both Mac and Windows PC. With it, you can strip DRM protection completely and convert Apple Music to common audio formats you need. 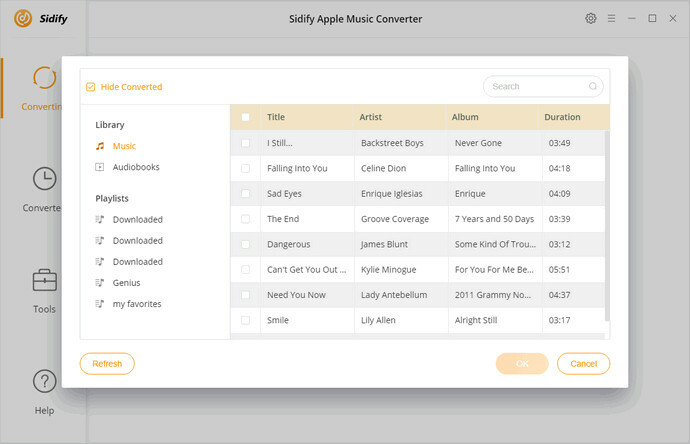 Sidify Apple Music Converter supports converting Apple Music tracks, iTunes purchased songs, iTunes/ Audible protected audiobooks to unprotected AAC, MP3, WAV and FLAC with the original music quality kept. What's more, it can let you play Apple Music on Chromebook, Xbox One, Android Tablets, PS4, iPod Touch, iPad and other popular media devices. Now you can follow the ultimate tutorial below to learn how to stream Apple Music on Chromebook easily. 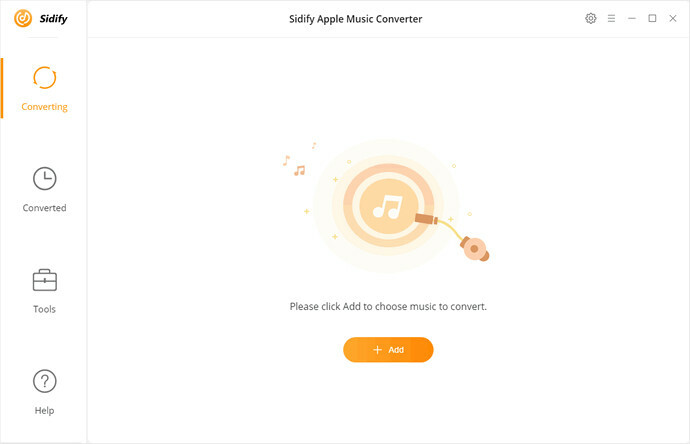 First of all, download the latest version of Sidify Apple Music Converter on your computer. And please make sure the Apple Music songs are already downloaded completely on your computer. Open the program on your computer. Here we will take Windows version as an example. Click + button at the top left to import Apple Music tracks from the pop-up iTunes library Window. Then you can select one or more files you want, click OK button. Chromebooks support audio formats including MP3, WAV, M4V, OGG, etc. Here you can select MP3 as output format by clicking settings gear icon at the top right of the window. You can also set output quality and change output folder according to your own needs. After all the settings done, you can click Convert button at the bottom of the windows to start the Apple Music to Chromebook conversion process. 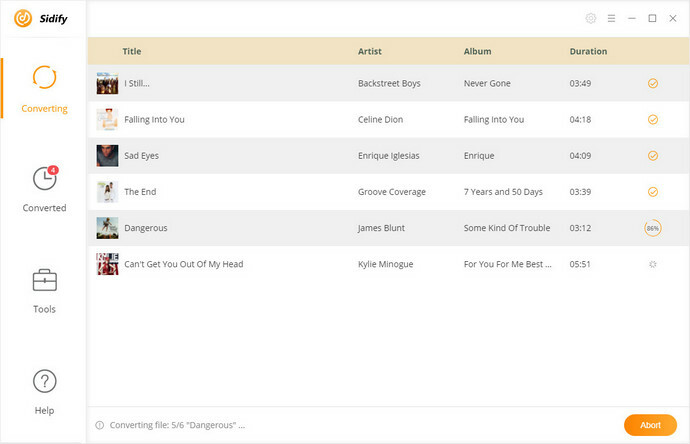 You can play music files on your Chromebook through the web. 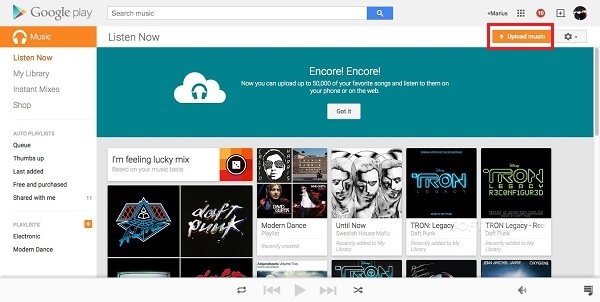 At first, open Chrome, go to Google Play Music and sign in with your Google Account. 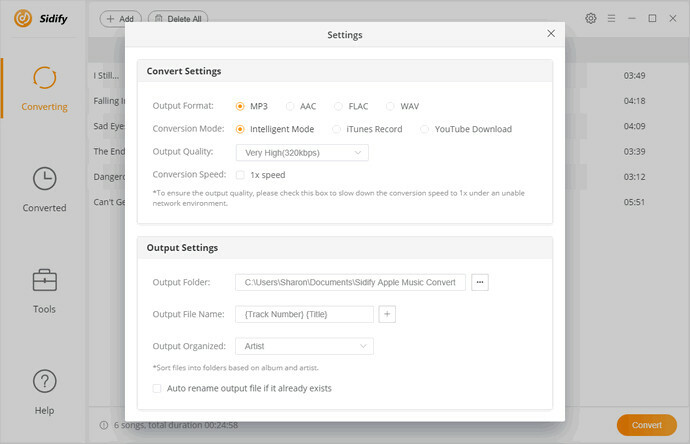 Select Upload music, then you can drag and drop the converted Apple Music files or upload them with Select from your computer. Once the music files uploaded on your Google Play successfully, you can play Apple Music on Chromebook at will.